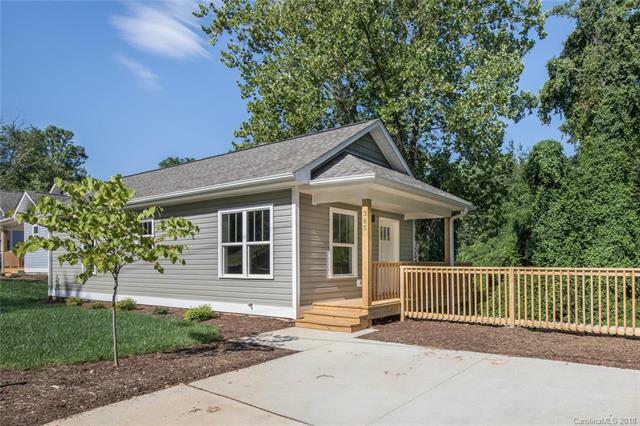 Brand new Energy Star Certified home in South Asheville. Close to shopping and dining in Biltmore Village and downtown Asheville. Bikeable to Hi-Wire Brewing, Rezaz and Corner Kitchen. Beautiful hardwood floors throughout the home. Sparkling kitchen with granite countertops and stainless appliances opens to dining/living area. Bedrooms are pre-wired for cable and internet. Exterior stairs lead to backyard and separate lower level entrance. Unfinished basement is ready to finish for additional square footage or accessory dwelling unit (Buyer to verify with City of Asheville). Covered front porch looks out over professionally landscaped yard. See brochure for details.